A piece of traditional Palestinian costume will take your breath away. The thoub, the dress in Arabic, is a canvas on which exquisite embroidery is sewn — stories spoken through the intricacies of a thread. 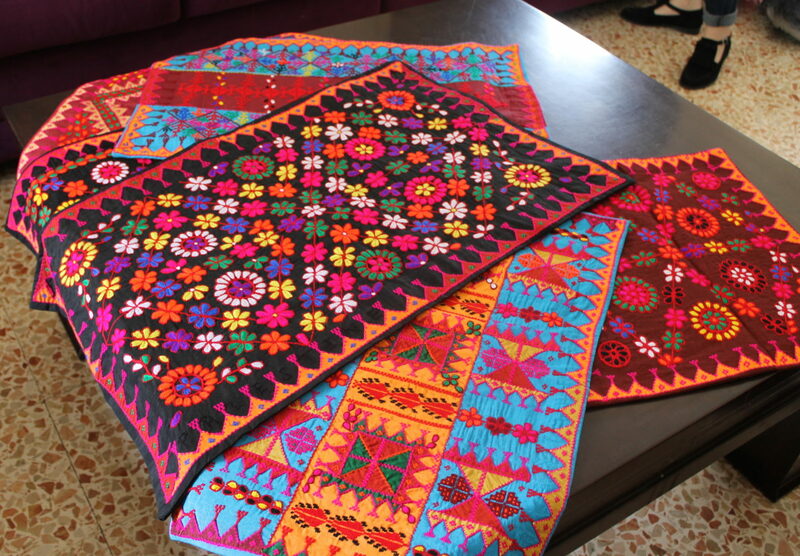 Palestine is known for this embroidery, and it is an important part of the country’s heritage and history. 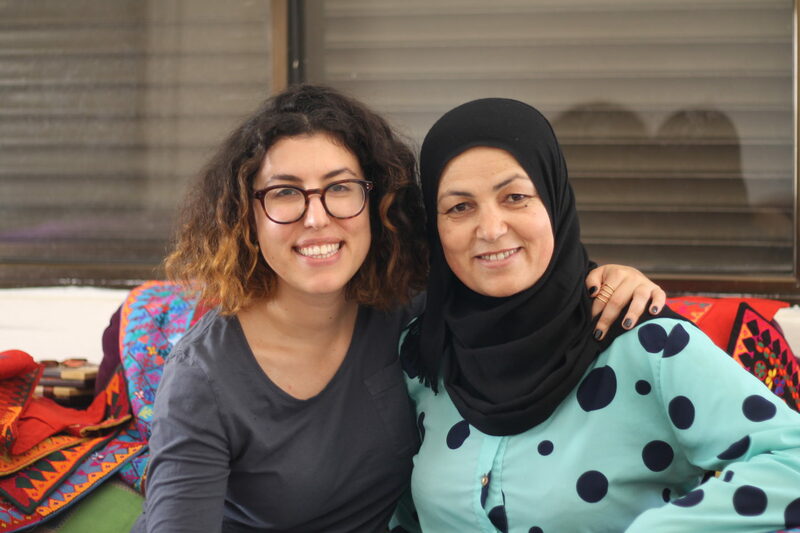 For Noora Husseini, Founder of Taita Leila, that history is personal. The business’ name translates to “Grandmother Leila,” the matriarch of Husseini’s paternal family. “She was modern and a traditionalist at the same time, and always had this appreciation for handwork,” Husseini says of her grandmother, recalling a house full of mosaics and fabrics from around the world. Grandmother Leila’s interest in Palestinian embroidery extended beyond her personal collection — she also authored The Art of Palestinian Embroidery, a guide to the country’s rich hand-stitching past. It was this book that sparked the creation of Taita Leila. So in 2015, Husseini quit her job as a chemical engineer in order to pursue her dream of creating a fashion collection that would pay tribute to her grandmother’s research, preserve Palestine’s rich history of hand-stitching, and employ local women as embroiderers. Taita Leila was born. 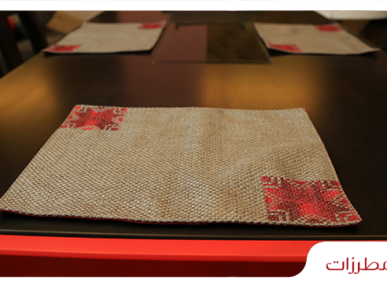 Husseini set off by scouring the country for nine months to find the best embroiderers for the project. Together, they created Taita Leila’s first clothing line, using her grandmother’s book as a reference, and gathering suggestions on how to update traditional designs. What resulted was Taita Leila’s first collection, Qabbeh, named after the central decorative chest panel on the thoub. The collection draws inspiration not only from one part of Palestine, but the country as a whole, creating an atlas of re-envisioned heritage. The Ramallah top from the Qabbah, for example, features red stitching with Hellenic influences, emblematic of the Greek Orthodox population that settled in the region. Taita Leila’s second collection, Benayiq, does the same. Named after the side panels at the bottom of a thoub, the rich azure blue of the Khalil Midi Skirt is inspired by Hebron’s famous craft scene, evident in the curves of the skirt that emulate the city’s blown glass vases. 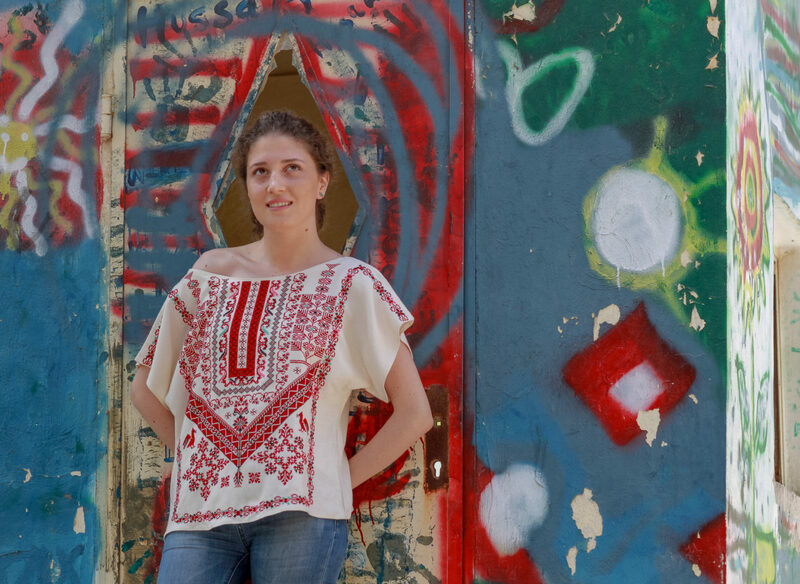 While in part about creating modern and stylish clothing that tells a story, another goal of Husseini’s is cultural reappropriation — exploring Palestinian heritage not in another part of the world, but in the country where it was born. One of Taita Leila’s embroiderers is Um Ali, who has been embroidering clothing for the past two decades. 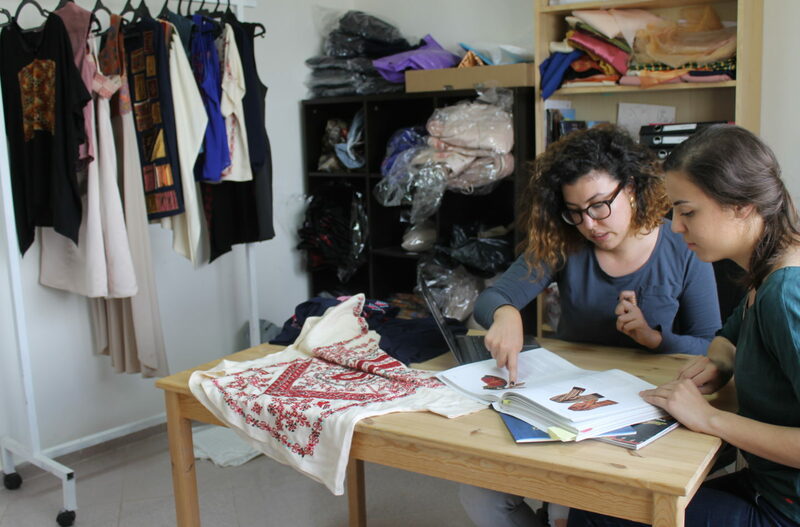 She believes Palestinian heritage is well represented through the clothes and adds that her work on the second collection gave her a valuable additional source of money. “I feel happy when I see someone wearing my work, and I am proud to be part of a great company,” Um Ali says, through Lama Murra, Taita Leila’s dedicated operations manager. The pre-orders that came from the crowdfunding campaign also meant more stability for Taita Leila’s embroiderers. Rather than revising her quantity each week as sales rolled in, crowdfunding allowed Husseini to place one large bulk order at once. For her next campaign, Husseini says she will likely use an online shop to crowdfund each individual piece, rather than the entire line. With two successful collections under her belt, Husseini is eyeing what comes next. One is a collaboration with Heartisans, which will produce a mini collection that will be ready by September. As for its third collection, Husseini will feature the irdan, the distinctive sleeve of the thoub. It will be made of peplum, a light and easy cotton, and the individual designs will be ready for crowdfunding by January or February 2018. Expansion-wise, Taita Leila’s designs are already stocked at Galeries Lafayette, the largest department store in Dubai, and her crowdfunded clothing has been rocked by fashion mavens in as far as Australia and Nigeria. 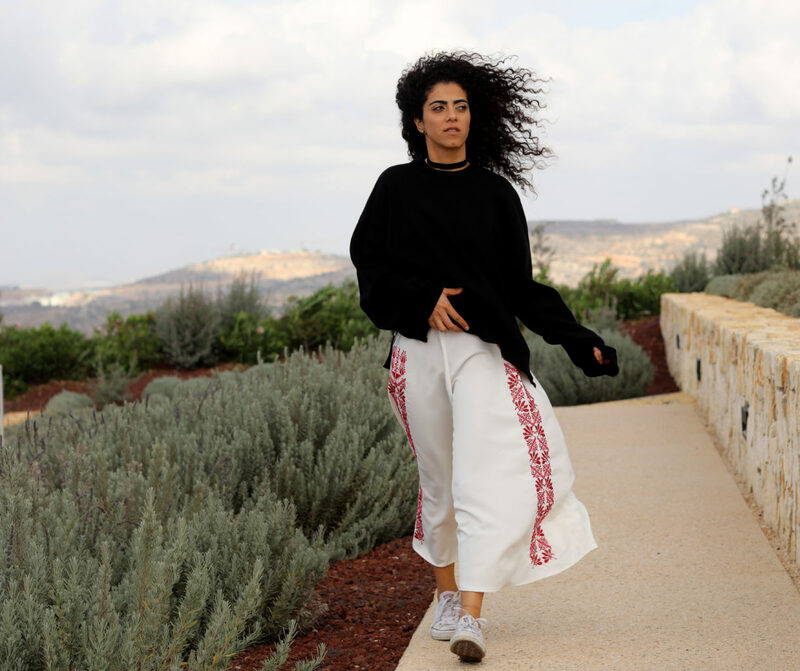 In the future, Husseini would like to use more sustainable, organic textiles in her collections, but is limited by the materials available in the West Bank. Another of Taita Leila’s major challenges is finding a tailor to create the clothing that is embroidered. 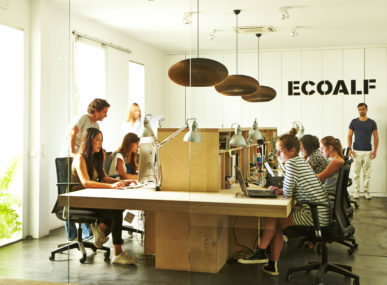 Husseini is hopeful a factory in Palestine may soon be able to spin organic cotton using renewable energy, and also do the clothing production. 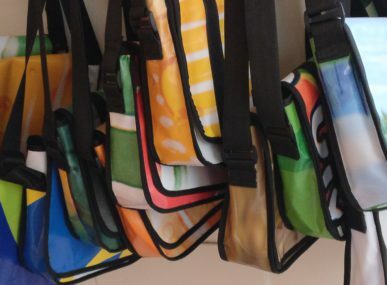 Want to keep with Taita Leila’s latest trends? Join their mailing list for regular news & updates!